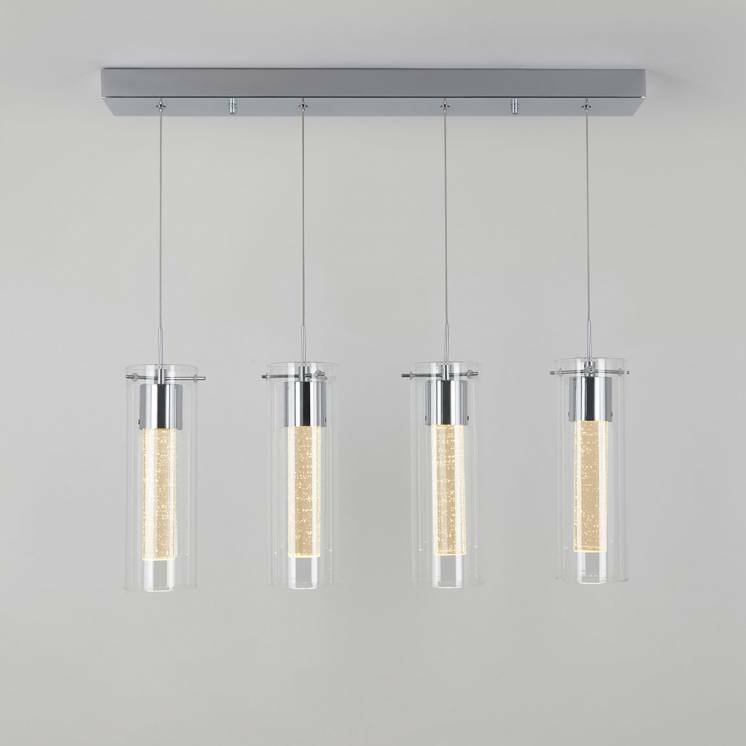 Install the Bubble cube upwards or downwards to create a personalized visual effect within your interior. 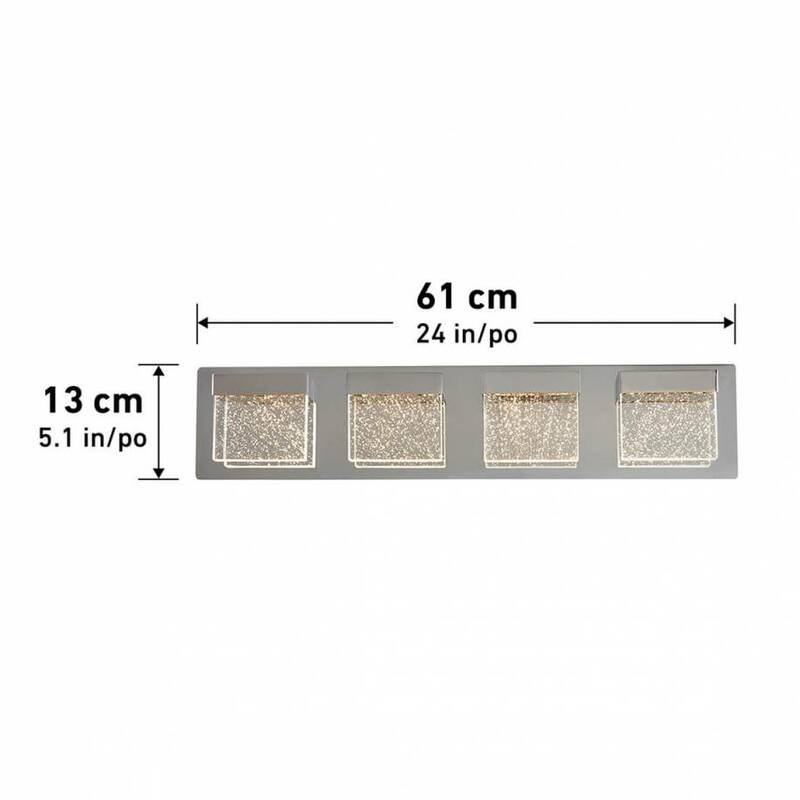 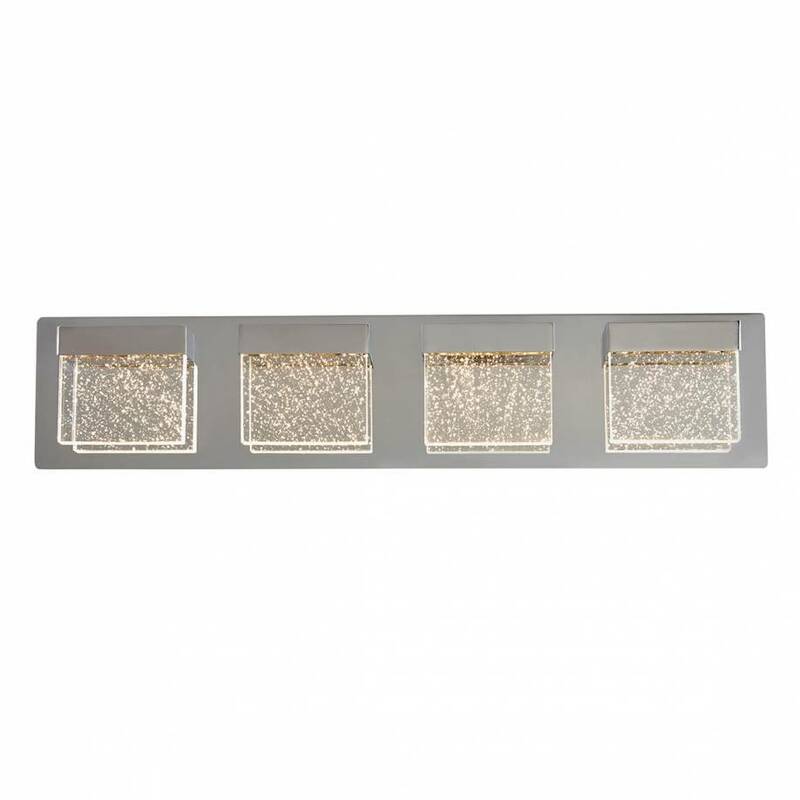 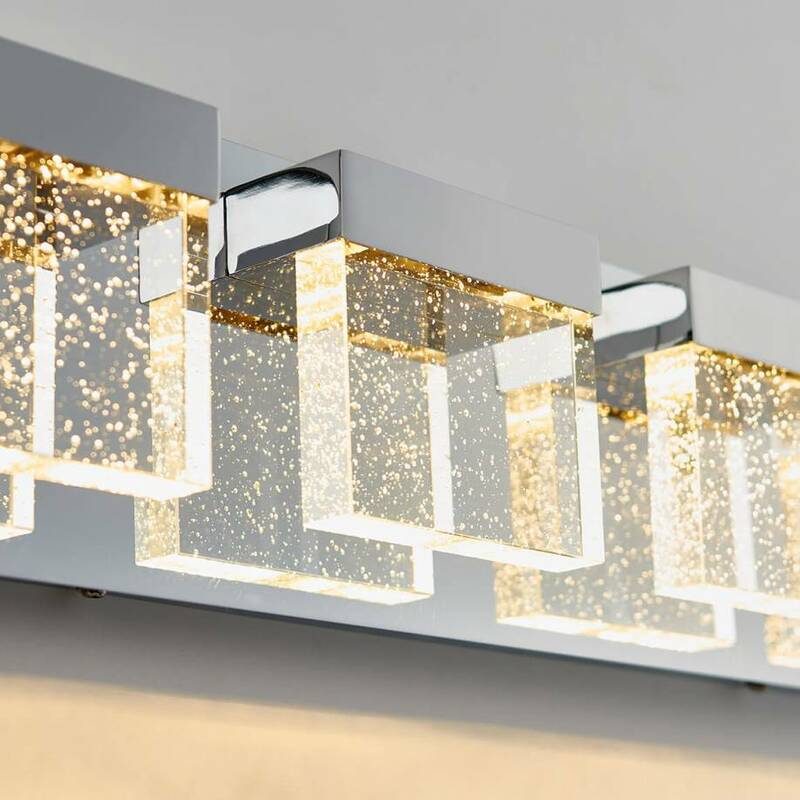 Its 4 glass cubes, enhanced by the presence of various small luminous bubbles, make for an artistic lighting effect and bring a high level of elegance to your decor. 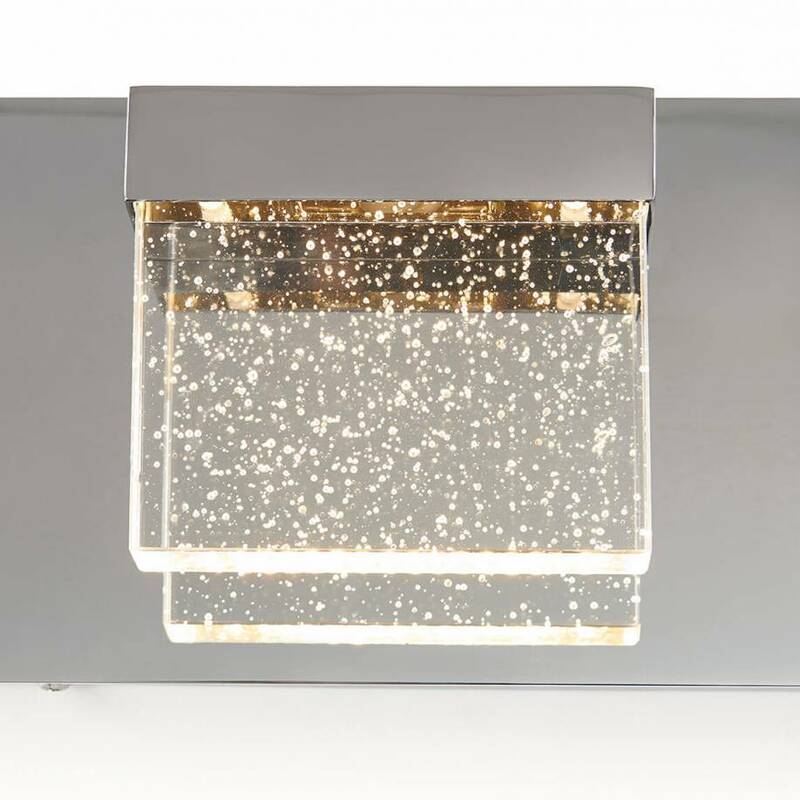 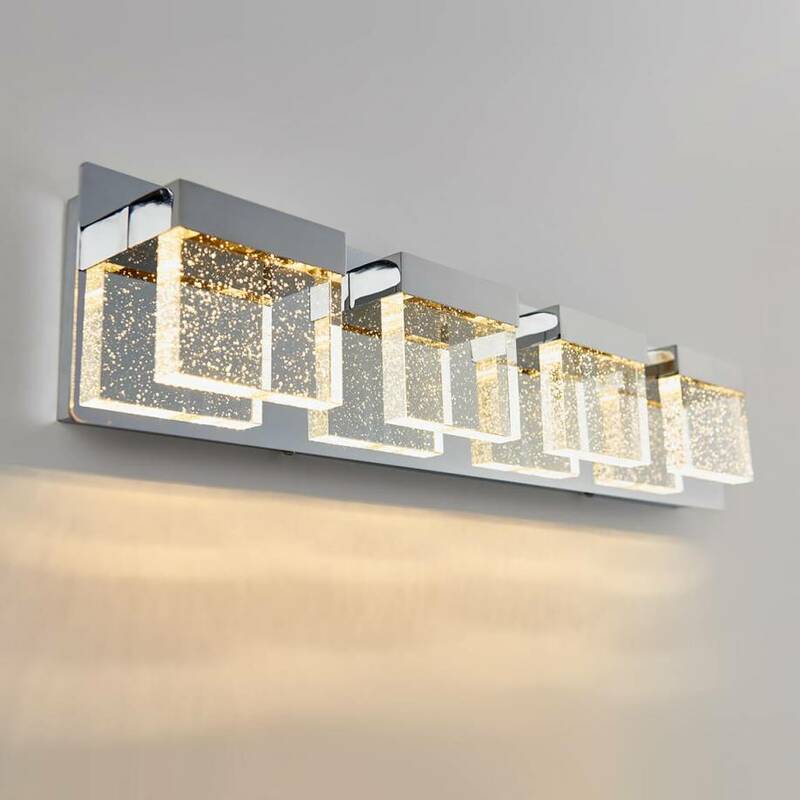 Their glow fills the whole space and is magnified by the chrome finish of the piece. 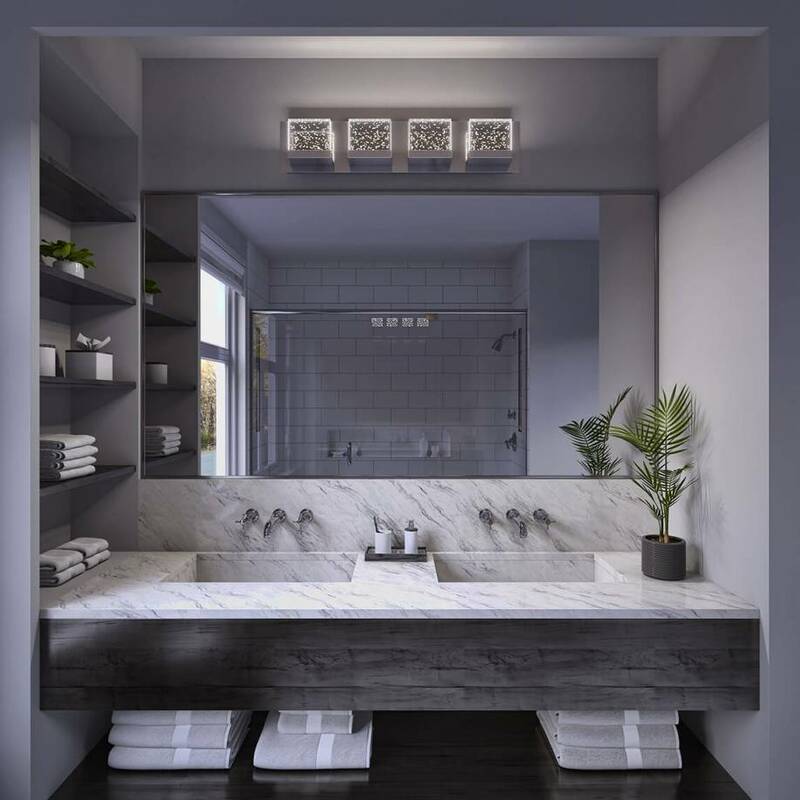 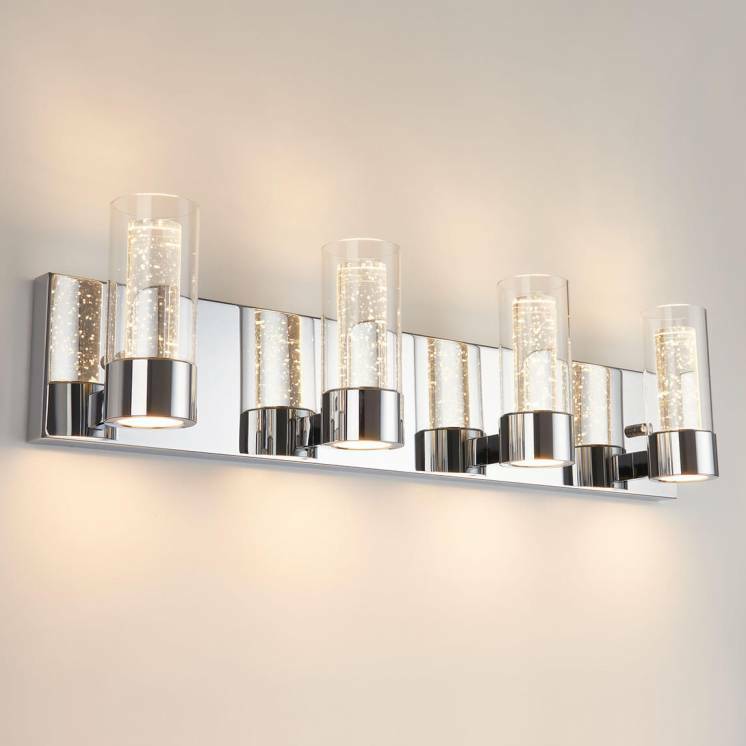 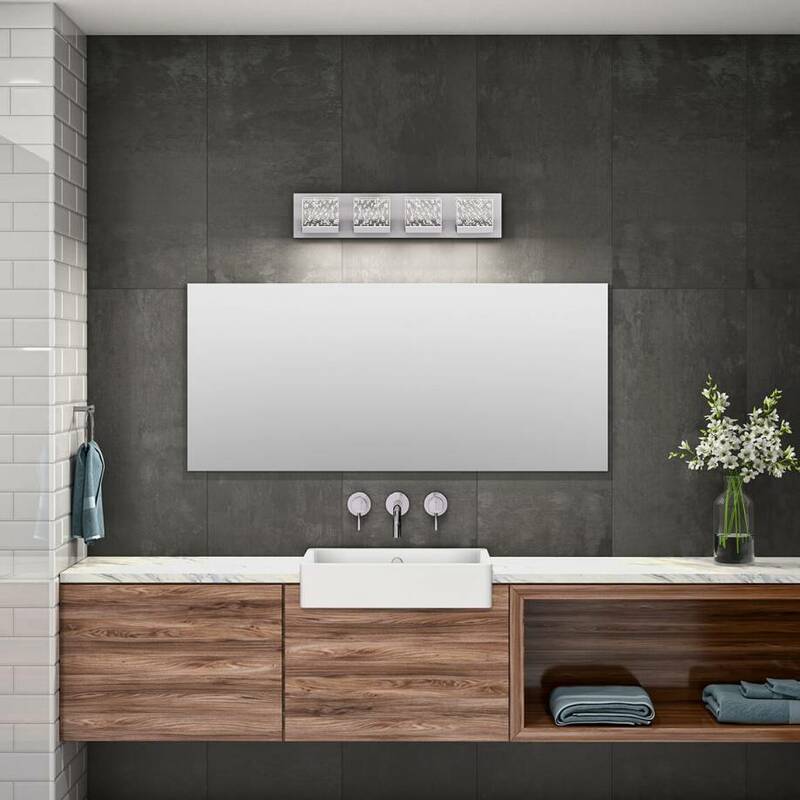 Placing this light fixture above a mirror or a counter is an elegant way to make a room instantly more alluring. 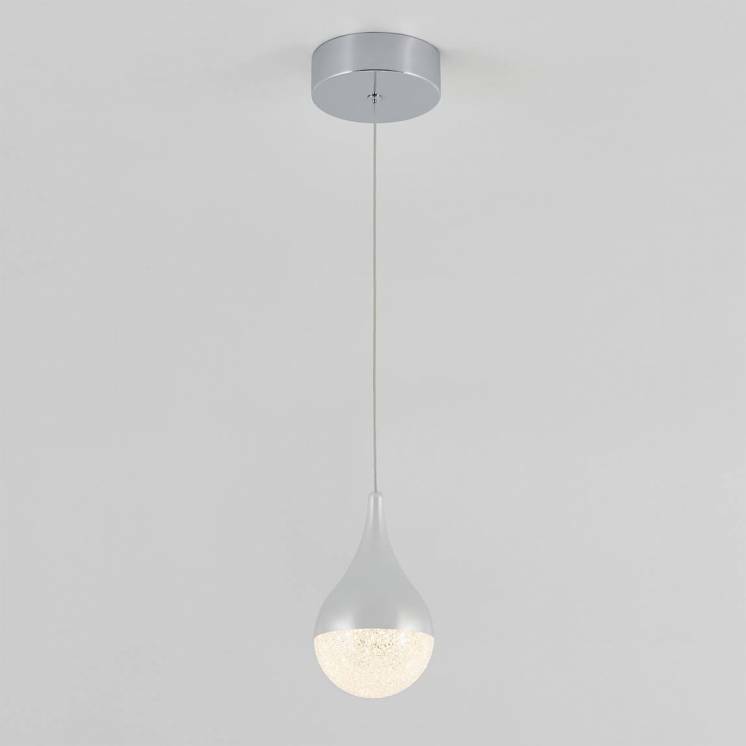 As aesthetically pleasing as it is durable, the Bubble Cube is a unique and highly-customizable model. 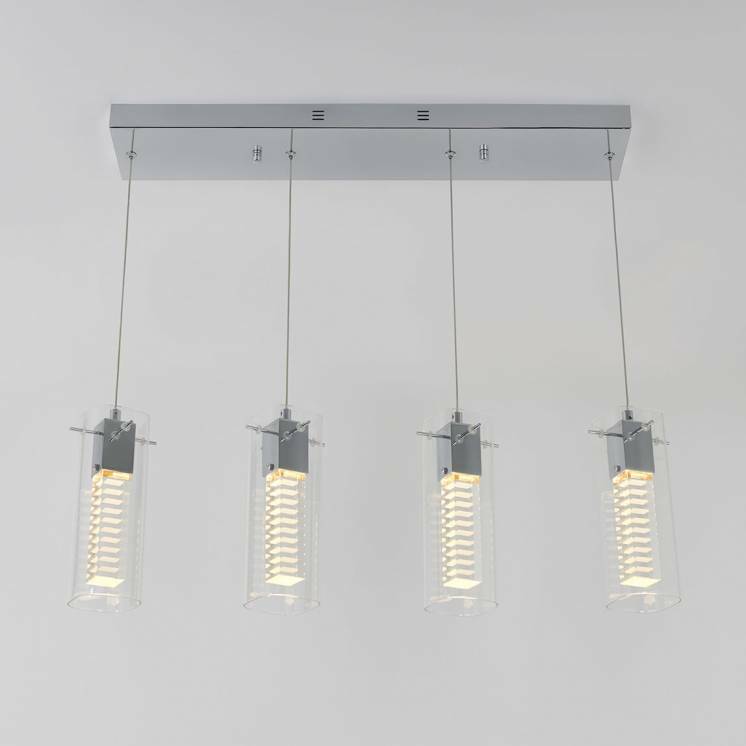 Its integrated LED lighting offers an array of different lighting options while also allowing you to conserve energy. 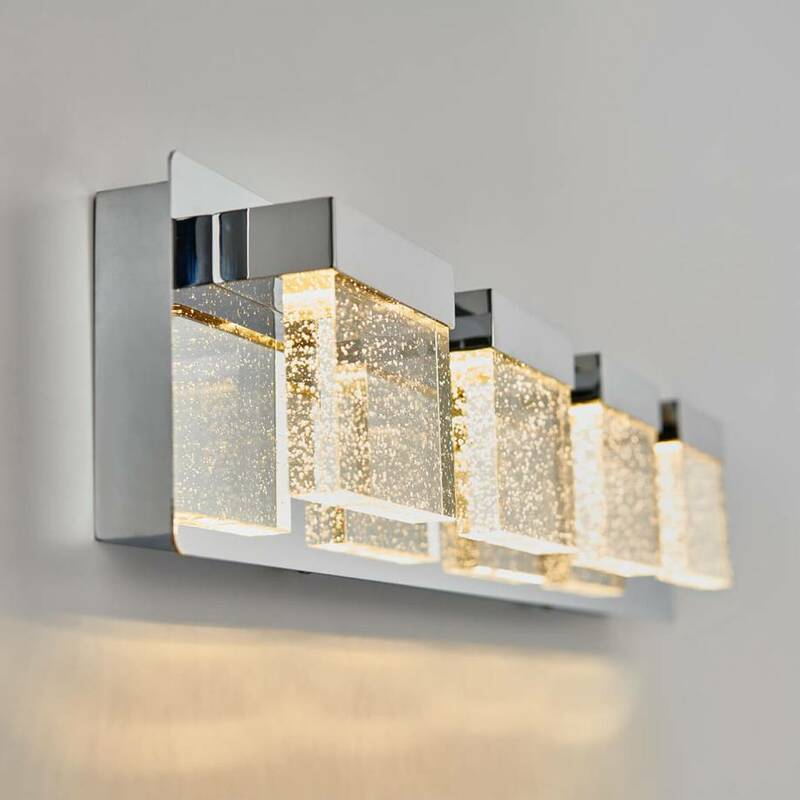 Integrate it into your space without delay to benefit from an added touch of elegance.